On Thursday, December 3, Yeshivah of Flatbush, along with commencing the 20th Annual Haudsorff Memorial Basketball Tournament and Shabbaton, welcomed once again members from Yachad and Ohel. 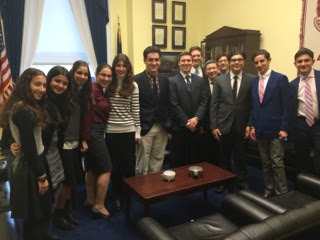 The Senior Class of 2016 had the opportunity to hear from Mr. Kasim Hafeez about his views on Israel in the world and on college campuses. Last night the Senior Class of 2016 had their annual Senior Night, consisting of ice skating and dinner. The students departed school for Bryant Park where they immediately got straight to work on getting skates and hitting the rink. There was cheer and happiness in the air as the students got on the ice. It was crowded, as expected for the prime season, but nothing the seniors couldn't handle. Even those who initially began on the wall managed to half-stomp-half-skate to the center with the help of some good friends. After skating the seniors walked a couple of blocks to dinner of their choice. Some chose Bravo Pizza, others Mr. Broadway. Dinner was especially delicious post a claustrophobic train ride, much skating, and with the knowledge that there is a fast the very next day. We returned home, concluding our highly fun and cheerful evening. This was a great night to bond as a grade and build memories that we will share in the future. Thank you to all those who attended- it's the people that make the event successful. Thank you to all the teachers who chaperoned. Lastly, thank you to Mr. Galpert and the Senior Council of 2016. Looking forward to future events! 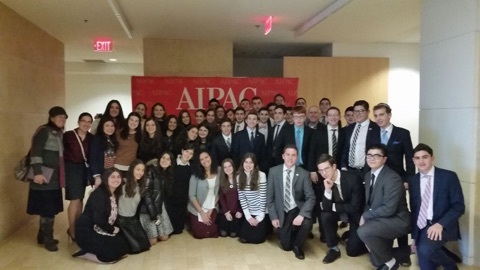 On Wednesday, November 25, Chasing Peace came to visit Yeshivah of Flatbush! Chasing Peace is an organization that donates shoes to children in need, and our students got to decorate the shoes that will be donated thanks to their donations and designs. Our students decided to donate the shoes they decorated to the different organizations in Israel that the Chesed Mission 2016 will be visiting this January. Chasing Peace brought us shoes in all different sizes, from toddlers to adult sizes. Every student who came during their lunch to decorate picked up some sharpies, a pair of shoes, drew on their shoes and had a great time! Our students really showed how creative and imaginative they are! We got such amazing designs! 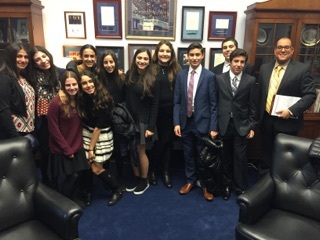 A few shout outs- Sarah Cohen and her amazing shoes, Albert Saad and his Olaf shoes! After the students finished decorating their shoes, they placed a small handwritten letter inside the shoe. Thank you to everyone who participated, we designed 60 pairs of shoes for children and adults in need! Thank you to Señora Ovadia, Chantelle, Moses, and Madelyne for organizing this amazing event and introducing Yeshivah of Flatbush to Chasing Peace! Yeshivah of Flatbush Students, Yair Chaya and Charles Seruya, have used their STEM abilities to enhance the chemistry classroom, room 306. They designed and built a digital scoreboard to keep track of the rankings of Mrs. Goldberg's four sophomore classes in the review competition. On Tuesday, December 1, 2015 students, teachers, and volunteers rolled up their sleeves to help save lives. Yeshivah of Flatbush Joel Braverman High School held its biannual blood drive, where volunteers were able to donate their time and blood to a worthy cause. Over 150 pints of blood were collected by the New York Blood Center. Thank you to all of our donors for helping us reach our goal and we will hopefully see you all again in April. 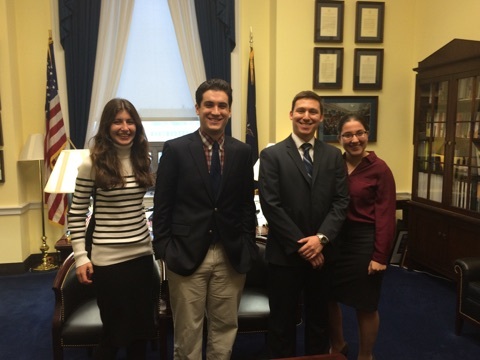 A special thanks to the student commissioners for helping coordinate this event. Tizku l'mitzvot. Yeshivah of Flatbush Sophomore students from classes 2-HN, 2-S, and 2-T traded their iPads for ice skates on Wednesday, November 25. The classes spent a couple of hours on the ice at Aviator with their teacher-mentors, Mr. Hofstetter, Mr. Lazar, and Ms. Marcus, as part of the Sophomore Mentoring program. Some students hugged the railing while the more advanced skaters, like Matt Fromer of class 2-T, showed off some serious skill. In the end everyone had fun and appreciated having time to bond with classmates and teachers without the pressure of tests and homework. The teacher-mentors for the remaining sophomore classes are currently planning fun trips for their classes as well. 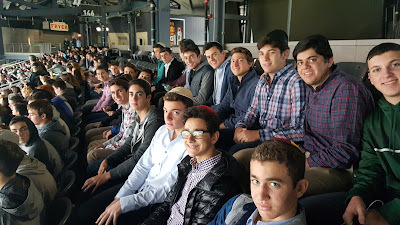 On Wednesday November 25, the students at Yeshivah of Flatbush had the zechut to listen to Rabbi Eli Cohen. He opened up his speech by saying that the origin of the Hebrew word for Jew, יהודי, comes from the word הודאה, which means to be, thankful. Rabbi Cohen stated that it is a natural thing for us as Jews to be thankful. Even though it is a natural thing for us, Rabbi Cohen mentioned how people can be very unappreciative of extremely vital things. Our ability to hear is big deal. Yet, we don’t realize it and take it for granted. In fact, we often don’t appreciate things until they’re gone; all the little things we make a huge deal over, won’t matter till the important things are not there. Rabbi Cohen’s tip for being an appreciative person is to take time during the day to appreciate what you have, even the tiniest thing such as the ability to hear, will make you that person. But, as Rabbi Cohen say, “…The greatest gift in our lives, is something that none of us even realize that we have. And those who do realize it, don’t even appreciate even a millionth of how great and how special this gift is…our holy Torah.” Rabbi Cohen understands the reactions people might have. He understands that people may hear this and think, “The Torah? It’s full of discipline. Why would I be thankful for this?” Rabbi Cohen explained that in today’s world, we have everything. From A-Z the world is ours. The luxuries we have are nothing compared to what the richest people had a hundred years ago. Despite all of these seemingly good things, people are not happy. And statistics show that we really aren’t. In fact, Newsweek reported that 30% of college students are “too depressed to function.” How can that be in a time where we have everything? Rabbi Cohen explains that no matter how much we have, we still have emptiness inside of us. How do we get rid of this empty feeling? By doing something good for others. Whether it’s reading תהילים or giving to charity, this kindness enhances our souls. Physically you don’t gain but internally, you get a feeling of fulfillment. Rabbi Cohen says the world was created as a gift from God. Another gift is the Torah. The Torah guides us through our lives. It teaches us to be grateful yet, we unfortunately don’t appreciate the Torah. But the Torah gives advice on how to become closer to it. The line says to take things from the Torah little by little and then you learn how to be appreciative for everything. Rabbi Cohen ended his speech by giving a story about a husband and wife. This couple had been married a few years and were struggling to have children. After three years of marriage, the wife was pregnant. There was much happiness in the air and now the couple had everything, except spirituality. The couple was very minimal on everything; no Shabbat, not so kosher, etc. During the sixth month, the wife noticed a bump on her stomach. The couple rushed to the hospital. Shortly after arriving, the mother was told she had to be operated on. Apparently, the baby was a רודף, a danger to either the mother or itself. The news devastated the couple and the father went into a corner. It was there the father made an oath. The father promised that, “If this baby is born, I promise that I will give G-d and I will give the Torah a second chance… Something small, I’ll start looking…” soon the doctor came out and the bump was gone. Two months later, a healthy baby boy was born. Shortly after, the couple started to become a little more observant. Soon, they became more observant and extremely happy. They felt like they were “living real life.” Rabbi Cohen confessed that the couple is his parents and that he is the baby. He concluded by saying that we’re all billionaires and we should all take advantage of what we have, Torah and all of our abilities. We don’t understand how lucky we are. God does so much for us and the little things should not be taken for granted. My experience on the Traveling Troupe was truly one to be remembered. We went to Sea Crest Nursing Home, right by the calm, tranquil ocean. We played our instruments, performed a few skits, and were treated to some wonderful vocalists. Seeing the smiles on the residents' faces put a smile on my face, and no doubt, all of the other members' faces. We all had a wonderful experience doing chesed for these people and I hope that I have many more opportunities to do that again. 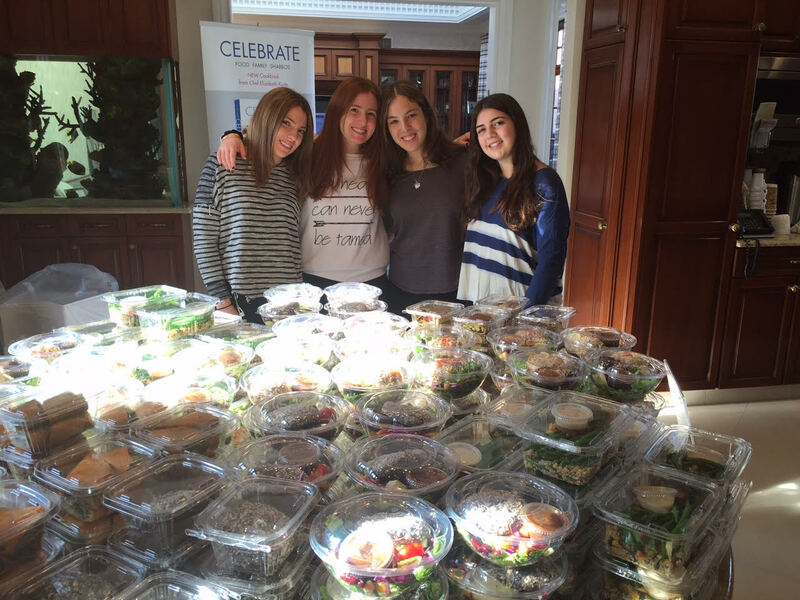 Several Yeshivah of Flatbush students recently volunteered to package food for a Chinese auction benefiting the Beit Elezraki Children's Home in Israel. We began our day packaging food, bringing it to the main house and setting everything up. We ended up having so much fun and doing chesed at the same time. Recently, some girls from Rabbi Haber's Jewish Philosophy class went hiking on Moses Mountain in Staten Island. The trip was inspired by an idea we had been discussing in class, that in order for one to attempt to understand G-d, to know G-d, or to serve G-d, she must look towards G-d’s creations. By examining and acknowledging all that is in this world, all that is this world, we can bring ourselves one rung higher on the spiritual ladders of our lives. As we hiked, Rabbi Haber gave us a Dvar Torah. Rabbi Haber implored all of us to recognize the immense amount of diversity in nature and to understand how just as no two leaves are identical, so too no two people are identical. Hashem created us all differently. We are all different and Hashem wants us to be different. Hashem wants us to all be ourselves and stay true to our differences. While we might all follow the same path when hiking, our overall paths in life will not be the same. 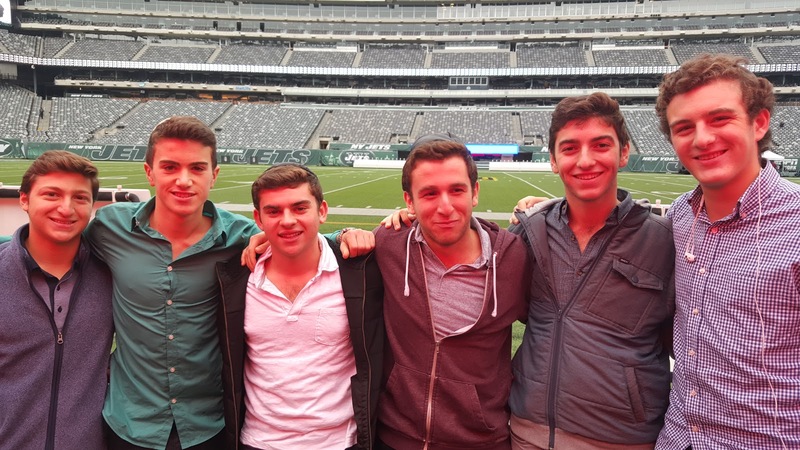 Two teams of students representing the Yeshivah of Flatbush recently won high honors in this year's WordWright Challenge, a national competition for high school students requiring close reading and analysis of many different kinds of prose and poetry. Participating with 631 school terms from all across the country, the school's twelfth graders placed fourth and the eleventh graders tied for eighth place in the nation in the year's first meet, held in October. 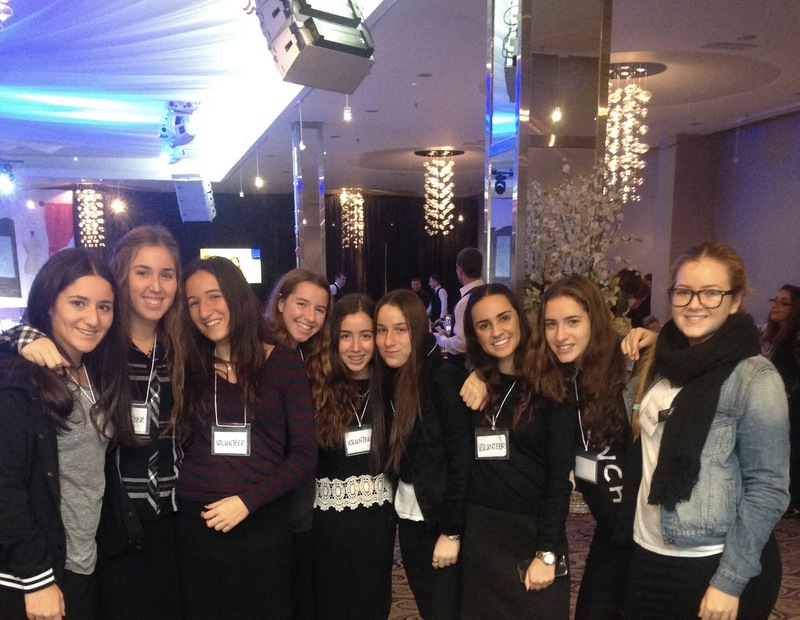 Yeshivah of Flatbush students who achieved outstanding individual results in the meet included sophomores Shlomo Bukai, Eli Feldman and Rachel Wolf; juniors, Samantha Chabot, Florence Deutsch, Mimi Lazerowitz, Esther Levy and Sarah Sasson; and seniors Max Edeson, Aida Franco, Leah Linfield, Gabriel Vizgan and Miriam Zenilman. More than 63,000 students from 48 states participated in the meet. The students were supervised by Pathfinders coordinator, Ms. Shifra Hanon. 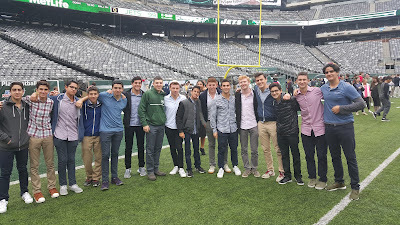 On Tuesday November 10th a group of Yeshivah of Flatbush students and sports enthusiasts went on a trip to MetLife stadium, home of the New York Jets. 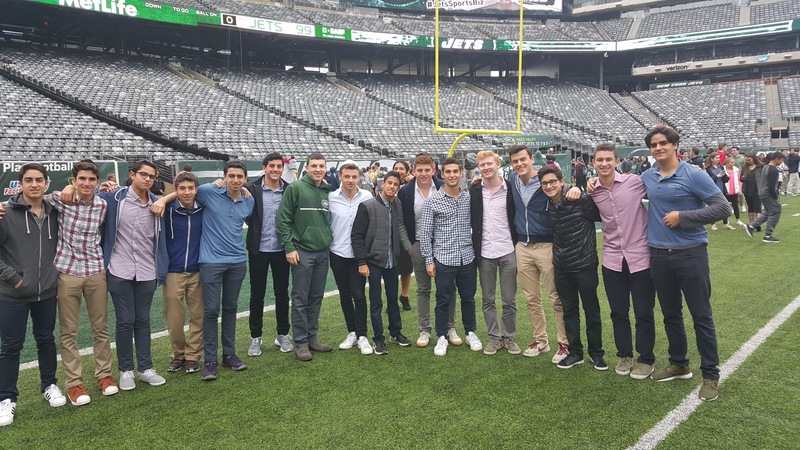 This trip was coordinated by our Pathfinders Program in conjunction with sports business day. When we arrived, we got an in depth tour of the stadium. During the tour, we got to hear about many different types of jobs people can have working in sports, specifically in a stadium. It was interesting to see all the club seats the stadium has to offer and we got a real feeling of how it is to work there. It was a real enjoyable and educational experience and I thank the Yeshivahof Flatbush, and the New York Jets for giving that to me.